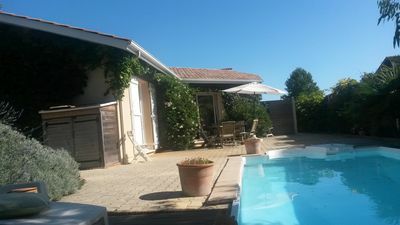 Pretty holiday villa at the edge of the vineyards in Artigues, just outside Bordeaux urban area. 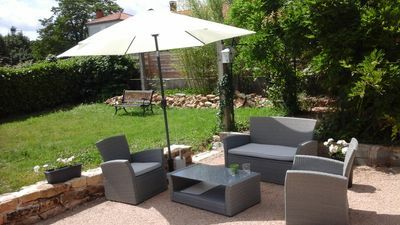 Quiet residential neighbourhood, private pool, landscaped garden - the countryside, 15 minutes from Bordeaux. Four bedrooms, sleeps eight. 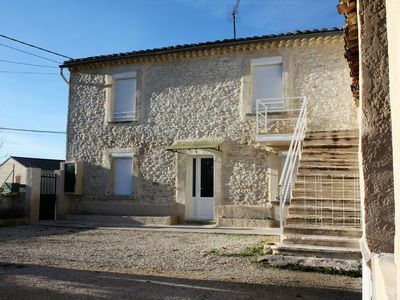 This villa is east of Bordeaux, in a quiet residential neighbourhood, at the end of a cul-de-sac that leads straight to the vineyards. The town centre is around 10km away. 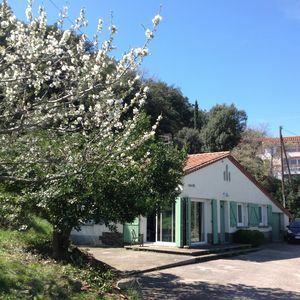 The village of Artigues is a three-minute drive. With a wooden frame bordered in blue, the house has a seaside feel as in Archachon Bay – a complete change of scenery! 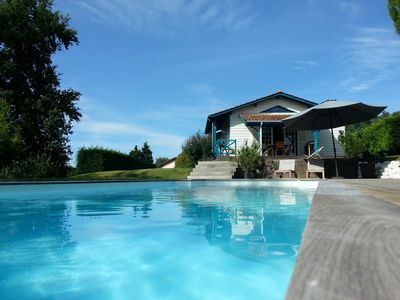 Especially once you discover the garden and beautiful 13x4m pool, surrounded by a wooden terrace, completely sheltered from view. The house is entirely on one level. 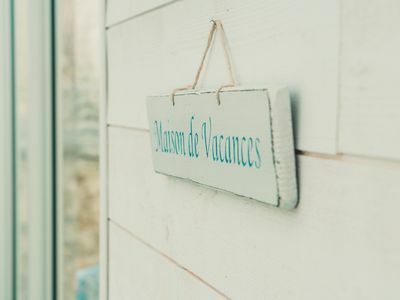 It is well-equipped for a comfortable stay, and is enhanced by a cabin in the garden, adding an extra room that would be perfect for young couples or older children. Linens, sheets, and towels are provided. The beds will be freshly made on arrival. Weekly housekeeping is included with the rental, along with cleaning on departure. You will find toiletries in the bathrooms and a gourmet food basket in the kitchen. 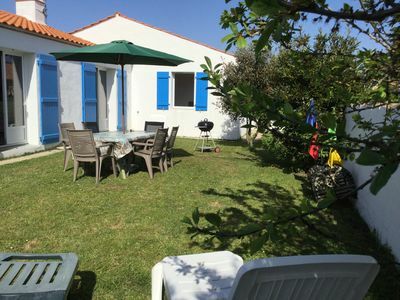 The house is located 3km from Artigues-pres-Bordeaux, 11km north-east of Bordeaux, on the right bank of the Garonne. 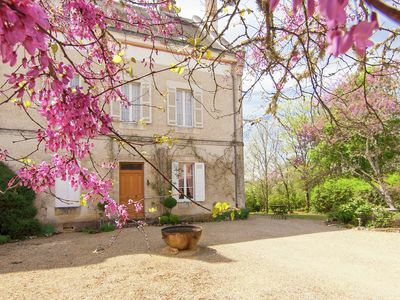 Artigues, which has a rich history and well-preserved heritage, provides the charm of a small town at the heart of Bordeaux’ urban area. 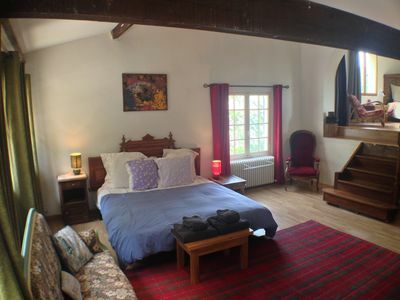 There are many shops here, and you can be close to the Aquitaine capital while staying in a quiet place. You are directly on the way to Bordeaux’ prestigious vineyards, and our favourite is Saint Emilion, a jewel. Further east is the Dordogne Valley and its castles. For ocean beaches, just an hour’s drive. 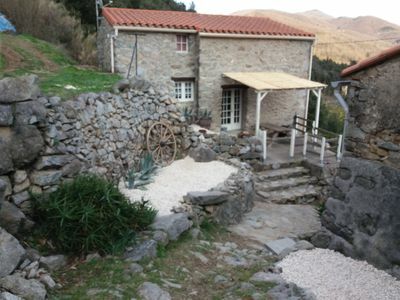 Pretty Cottage Stone "Mas Esperdenyes"